The Hill reports that the FBI’s request was made recently to the Senate Judiciary Committee, chaired by Sen. Chuck Grassley (R-Iowa), who referred Planned Parenthood and abortion facilities to the FBI for criminal investigation. In 2015, the Center for Medical Progress unleashed a massive, nationwide controversy when it released an undercover video, the first of many, revealing a practice taking place at Planned Parenthood: the trafficking of the body parts of babies they aborted. 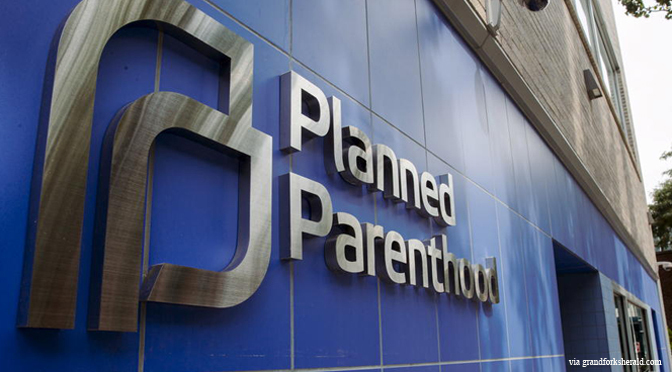 Video after horrifying video was released, showing how Planned Parenthood, along with other abortion facilities across the country, were profiting from the sales of aborted babies’ body parts. The backlash was swift. Multiple state and congressional investigations were launched; Planned Parenthood was defunded in several states, as well. The Senate Judiciary Committee and the House Select Investigative Panel on Infant Lives both launched investigations into Planned Parenthood, fetal tissue procurement organizations, and other abortion facilities. These resulted in criminal referrals to both the Department of Justice (DOJ) and the FBI. Despite overwhelming evidence that called for an increased investigation, the Obama administration refused to take action. This evidence consists of an extensive list of referrals, on suspicion of breaking multiple federal laws — laws that ban the buying or selling of human fetal tissue (42 U.S.C. § 289g-2), HIPAA privacy laws, and alleged violations of the Partial-Birth Abortion Ban Act of 2003 and the Born-Alive Infants Protection Act of 2002. It appeared that babies were born alive and then killed by abortionists. In addition to these charges, multiple other letters were sent to both state and federal officials, requesting criminal charges for various abortion industry staffers and agencies. It is sad that it has taken over two years for the FBI to take action against this gross epidemic of criminal behavior among America’s abortion industry — but it is good that, at last, an investigation is going to begin. Justice is owed to the preborn babies who have been killed and had their bodies exploited by Planned Parenthood and the abortion industry, and justice is owed to the women who were unaware that their children’s bodies were being sold for profit after they were killed. It cannot, and should not, wait any longer.